This is the third part to a series of posts, titled ‘Improved’, aimed to assist with development and improvement of Respiratory Therapists and other Healthcare Providers as individuals and as clinicians. I share recommendations and advice from Mr. Piyush Jadav, a healthcare professional with educational and work experience as a chropodist. In my conversation with Mr. Jadav, I asked for any recommendations for clinicians who either work 12 hours long day/night shifts/ acute care, and/or to those who work sedentary 9 hours shifts/diagnostic/patient education. In time for foot health month, this post is released in May. First off, when speaking about footwear; the most important thing is comfort. I have told many patients about what footwear is the best or most appropriate for them. The biggest issue with compliance has to deal with the level of comfort. When speaking about footwear, at the most basic level there are 3 shapes of “lasts”. A last is the structure on which a shoe is built around. With respect to hospitals, these same examples can be applied. Mesh/net material in shoes is usually not allowed in some departments due to risk of infection and lack of protection. Shoes that are used for long periods of walking in the hospital or clinic setting should not be used to recreational activity. 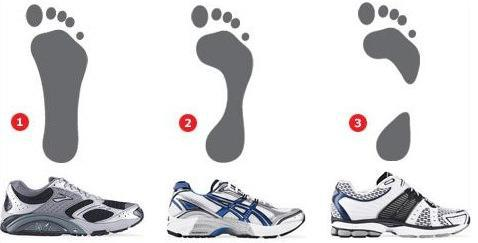 Footwear that is meant for running/exercising are designed to absorb more force due its high demands. 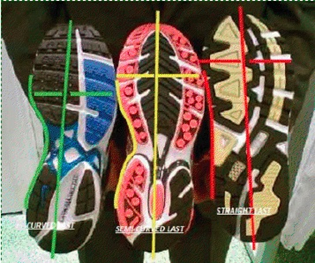 Look for footwear with either Velcro or laces which provide stability to the midfoot as well as the ankles. Slip on shoes provide little to no support and have a shorter lifespan. The best time to try on shoes is closer to the evening because one’s feet do swell slightly during the day. This will ensure a proper fit. Also, try to change socks at least once a day. Try to designate a pair of shoes for work only, allowing them to breathe overnight. This will prevent excessive odour and moisture from building into the shoe. Never wear your shoes without socks, this can harbour excessive moisture and may contribute to athlete’s foot. A typical clinician/hospital worker can be on their feet for 8-12 hours per day. Standing for long periods of time has been linked increased pressure on peripheral blood vessels. In addition, this can lead to varicose veins or “bulging veins”. Some of the first symptoms may include cramping, muscle aches and mild swelling. An inexpensive option to help with this would be to use mild compression (10-15 mmHg) stockings which may help with relieving symptoms, which can be picked up without a prescription from the pharmacy.